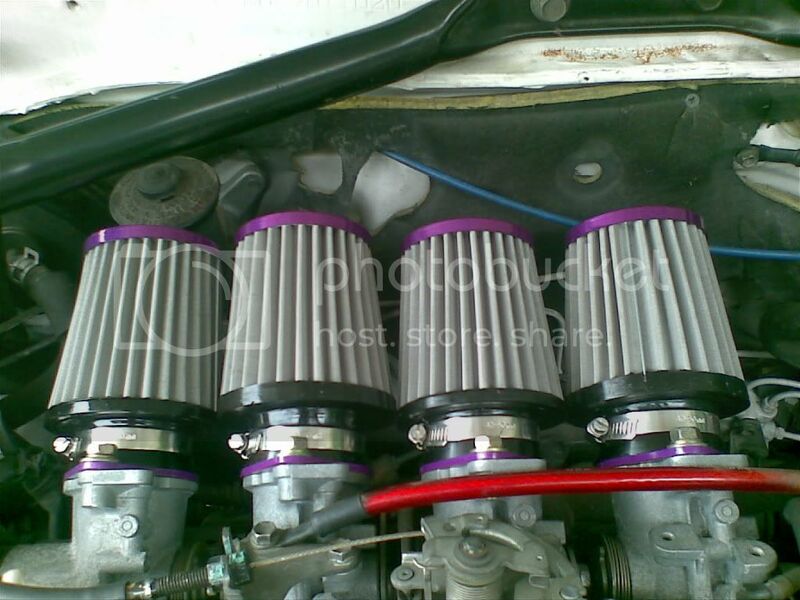 I bought my 7 with 4 cone filters similar to this: http://i870.photobucket.com/albums/ab26 ... 032011.jpg. Its now due for replacement and need to decide to stick with it or change. What are you guys using for your 20v's? If I knew how to weld aluminum, I'd love to make a plenum(hope i'm spelling this correctly) with one large cone. Made to fit nicley under the bonnet with no major cutting and parts jutting out. I currently have the rubber intakes on with pipercross foam filters over each.